Reiki is a simple yet profound mode of energy healing that promotes deep relaxation, awareness and restoration of balance in the body, mind and spirit, especially when there are energetic blockages or your ki (energy) is low. I incorporate Reiki healing energy in all of my massages, which I call Psychedelic Reiki Massage. It is in these realms I believe the deepest and most complete healing can happen. The synergy of Reiki and massage expands the benefits of alleviating stress & tension and decreasing pain by also helping to balance energy systems, restore harmony and offer greater clarity & insight. My utmost intention in my practice is to serve the highest good by acting as a pure and grounded conduit for healing light energy, while creating a sacred container to help facilitate your body's own healing wisdom and process. 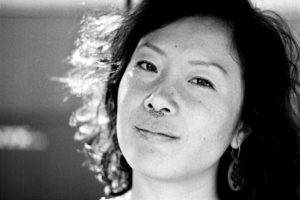 Nina Kim is a Reiki Master and 500-hour Certified Massage Therapist who began her healing journey in 2011 after a near-death bicycle accident brought her to search deep within. Communing with the expanse of stillness and the depth of touch and intention, Reiki helped her overcome PTSD and inspired her to spread the wisdom that the power to heal is literally in our hands. Trained in the San Francisco Bay Area, she uses Swedish (slow, long strokes), deep-tissue, acupressure and trigger point therapy massage modalities integrated with intuitive wisdom, chakra balancing & Reiki to help facilitate healing on a holistic level.